Following the incorporation of Facebook on iOS, iPhones can now sync contact information and images in the "Contact" directory. As beneficial as this can be, it can likewise make your contact list congested, and this may pose a problem for some users. 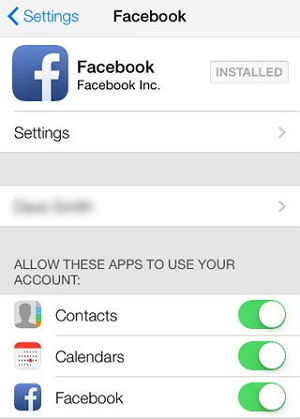 Below are some methods of removing Facebook contacts from iPhone. Part 1. How to Remove Facebook Contacts from iPhone on iOS 12/11(and Earlier)? Part 2. Bonus: How to Permanently Erase Contacts from iPhone? Though Facebook contacts cannot be deleted like normal contacts, you can disallow Facebook's access to your contact directory. 2. Scroll to the Facebook app. 3. Access the Facebook app settings by clicking on it. You can modify your contacts information from here. However, you must be signed into Facebook to modify the information. 4. Tap the toggle beside "Contacts". It should turn grey, thereby removing all Facebook contacts from your iPhone. Another effective way of removing Facebook contacts from iPhone directory is to disable it in your contact app. 1. Go to your "Contacts" app. By default, it comes displayed on your iPhone home screen. The icon bears the silhouette of a man with colored tabs on its right side. 2. Click on the "Groups" option at the upper left corner of the screen. Note: If the "Groups" option doesn't show, it means your Facebook contacts are not synced, because the "Group" option manages the various sources from which contacts are saved. 3. Click on "All Facebook." The checkmark on this option should vanish, removing all Facebook contacts. This also forces the checkmark on the "All iCloud" to do same. 4. 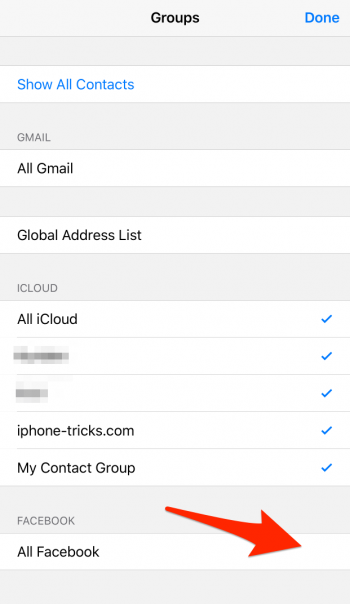 Click on "All iCloud" to re-allow iCloud contacts. Do likewise with contacts from other sources which you want to show. Want to stop Facebook from accessing your data? One very sure way is to delete the Facebook account. This does not delete your app, nor take out your account from Facebook. Go to your Facebook app in device "Setting." Click on it to open the "Setting" menu. Tap "Delete Account," and then click "Delete" when prompted. Then all the Facebook contacts will be removed from your iPhone. Occasionally, the need to delete one/few/all contacts on your iPhone arises. It may be a situation where one wants to remove old contacts, to clear space, or a case of switching carrier. There are numerous ways to erase contacts from your device. Open Contacts app on your iPhone. Select the contact you intend to delete, and tap on the ‘Edit' button on the right. Scroll down, and click on ‘Delete.' And, that is it! This method, however, has its shortcoming. It doesn't exactly provide permanent deletion, as data can be easily recovered, with the right tools in place. The iMyFone Umate Pro is the Ultimate Eraser of Data on iPhone. Need to secure your privacy by permanently erasing Data? Then this is your sure answer! 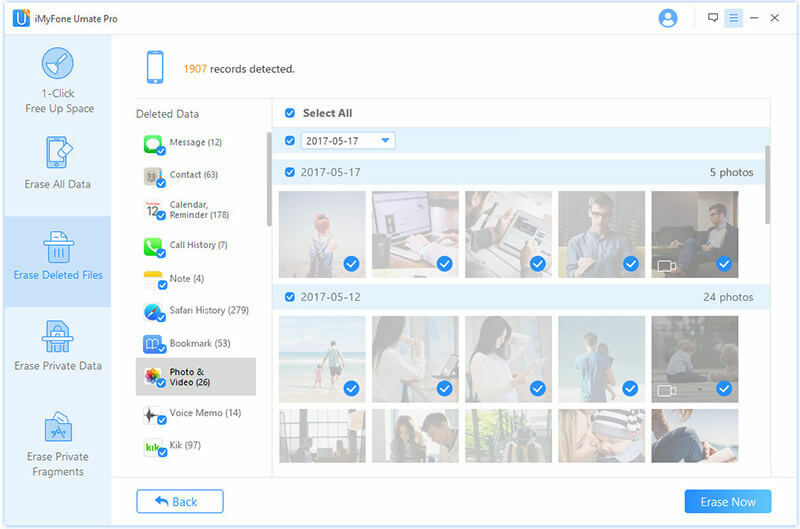 It provides easy and fast erasing of iOS and third-party apps with 0% recovery, and is fully compatible with the iOS 11.3, iPhone X, and iPhone 8/8 Plus! 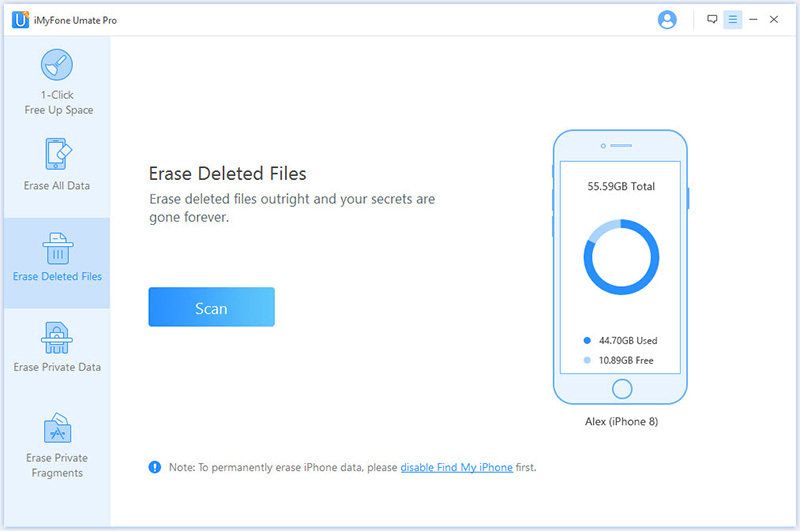 Erase contacts permanently from iPhone with no possibility of recovery. 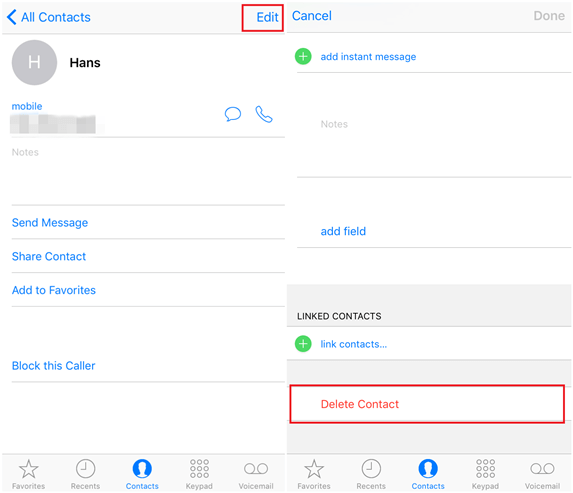 Permanently delete Multiple/All contacts instantly from iPhone. Permanently erase past deleted contacts. Erases all types of iOS data, as well as third-party apps data. Step 1. Download and run the Program, don't forget to connect your iPhone to your computer. Step 2. Choose "Erase Deleted Files" and click on Scan button. Step 4. Tap the "Erase Now" button. You are done! Every now and then, there is always one reason or the other to delete contacts from your iPhone; either to remove previously saved contacts, free up space, or when changing device. This can be an arduous task, especially when you're deleting multiple contacts at the same time. The iMyFone Umate Pro provides easy, fast, and permanent ways to do this. iPhone Favorite Contacts Not Working. How to Fix?